Screenworks ScriptLab team. We worked on new series BEST MEDICINE with a brilliant team from Matchbox Pictures, Screen Australia, Screenworks and Create NSW. The perfect follow-up from Inside the Writers’ Room. Pics: Screenworks. The three rooms were all thanks to Screenworks, the extraordinary screen body for regional creators. The first was a one-day room for my book The Fall at Byron Writers Festival. Four very experienced screenwriters and myself sat around a table in front of an audience and worked out how to turn this book into a TV series. The second room was three days in a workshop for a major ABC TV series at an advanced stage of development. 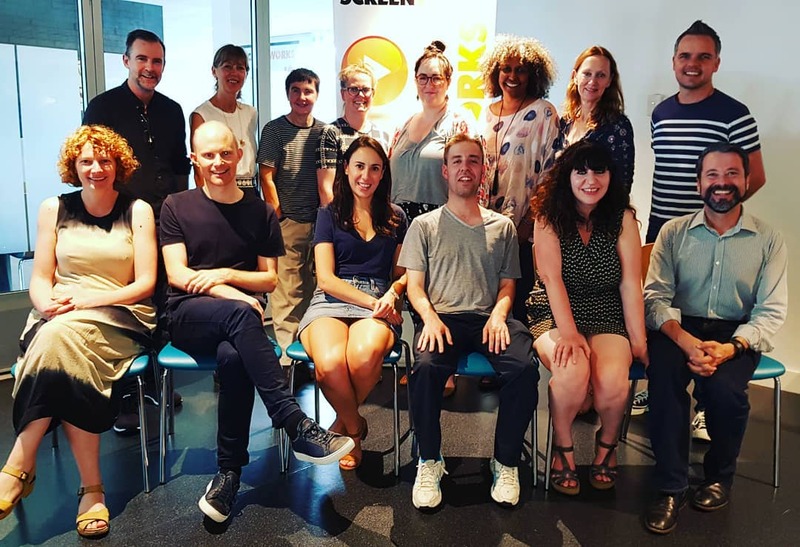 And the third was ScriptLab where five emerging screenwriters (including me) worked with the development team from Matchbox Pictures and UK showrunner Holly Phillips to workshop new show, Best Medicine. Tim Williams, creator of BEST MEDICINE in action, sharing his vision for the story and inspiring others to help him tell it. Tools for Managing Multiple Protagonists and stories simultaneously. I often opt for linear stories following single key characters just so that I don’t go crazy, but TV is not, for the most part, a linear, single-character medium. Following individual character journeys on whiteboards we were able to interweave these stories to create each episode. 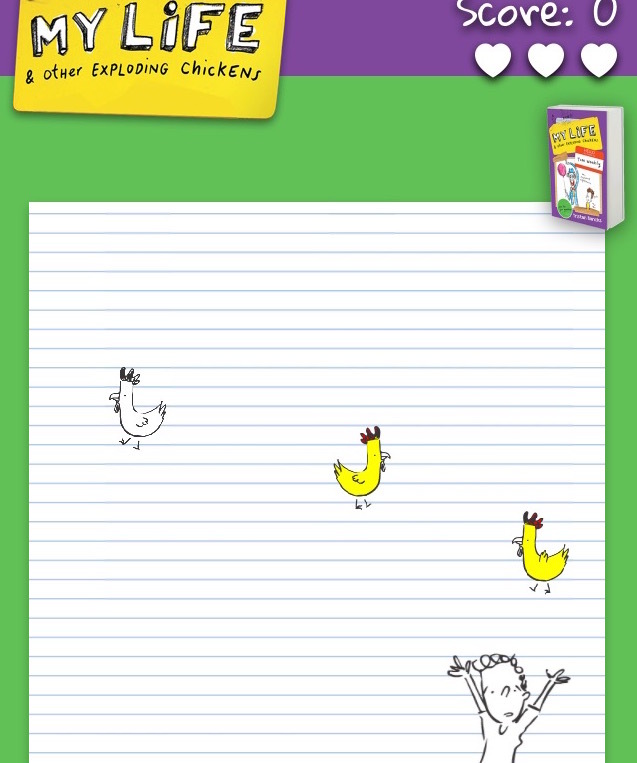 I think I’m going to get back to using paper rolls, whiteboards and windows for story-planning. I’ve been a bit Scrivener-bound in recent years. Beating the Story Out. I learnt to write fiction by writing for the screen, so I used to be a plotter, painstakingly step-outlining a script or book before I started writing. In contrast, in recent years I’ve been writing two or three exploratory drafts of a novel (knowing roughly my key turning points) before I really go back and create a full outline to crack the back of the story. Working this way, I’ve written my best work, but it takes a long time and sometimes you dry up mid-draft. Working with TV writers, I see ways that I can shift more fluidly back and forth between draft and outline, preserving organic discoveries but expediting the process somewhat and doing away with bad plot ideas quickly rather than writing and editing and polishing chapters / scenes before throwing them out! Character Change. I’m in the edit on my new novel, Detention, out July next year, and I’m diving down into it and exploring each character’s transition from beginning to end with much greater determination than I, perhaps, would have prior to the writers’ rooms. In a room, there’s nowhere to hide from the big, difficult questions and, sometimes, working alone, you can leave those questions unanswered for too long and limp along before, finally, an editor is forced to put the question to you. How Each Character’s Journey Explores the Key Premise and Controlling Idea. I think about this when I’m writing, but in the writers’ room, particularly on a show in the later stages of development, there is a ruthless determination to explore the story’s big idea in myriad ways through the various character journeys. Anything that’s not exploring that premise doesn’t belong in the show. This is why good screenplays are extremely lean. The Importance of Mentorship. Writing books for the past ten or twelve years and working with some excellent editors has been the greatest story school for me. But, sometimes, writing books can be lonely. And you can end up using the same tools over and over and over again. The dynamism of the writers’ room forces you to listen, to think quickly, to let go of ideas that don’t catch on, and to learn from others. This direct connection with talented and experienced creators supercharges and concentrates the learning process. 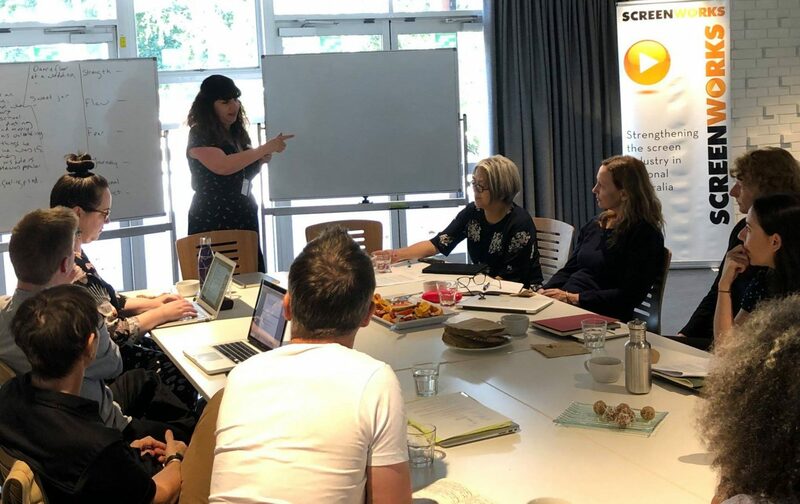 Showrunner Holly Phillips in action with Matchbox Pictures’ Debbie Lee and the team of screenwriters. 6. Key Questions. It seems that the best people in a writers’ room are always posing good questions. What’s the story about? Who is the character? Where are they going? What do they want? What is their conflict, their stakes? How do they transition in each beat, scene, chapter, act and through the story as a whole? These are not new questions to me, but I was reminded how much time is spent on screen projects asking these questions. Sometimes, as a writer of predominantly prose, you can get bogged down in all the words. Key questions allow you to X-ray the story, rediscover the skeleton and identify the breaks. 7. Speed. Ideas move at the speed of light in a writers’ room. You get through a lot of story in a day. This has made me realise how slow it can be as a lone writer and how much more is possible with hive-mind. Of course, snail-mind has its place, too, and it’s nice to be left alone to think an idea through but there is so much to be said for testing ideas on other humans. I like to do this when I speak in schools. Walt Disney used to pitch his doctor and driver and accountant, anyone who’d listen. His was a roving writers’ room. The challenge is to preserve the delicate balance between organic story discovery which comes directly from you and often takes time and, on the other side, moving through ideas quickly when necessary to avoid getting stuck in a story rut. 8. Questions and Answers. One of the toughest things about storytelling is pacing – telling the reader / audience enough so that they know what’s going on, while not telling them too much so that they’re bored. The process of creating a beat sheet for a story gives great clarity to the questions you’re setting up to answer in later scenes or chapters. It forces you to identify areas in which you’re being too transparent and the audience is not waiting to discover anything, and also the areas in which you’re being unnecessarily ‘tricksy’ and withholding information that there is no good reason to withhold. 9. Showing, Not Telling. It’s a lesson you’re taught in primary school but I find this idea just keeps unfolding and challenging you no matter how many years you’ve been telling stories. It’s an idea that’s crucial in screenwriting because you don’t have the ability to go inside the character’s mind and simply reveal information unless you use voiceover. ‘Show, Don’t Tell’ is just as important in prose, though, and, in particular, prose for kids and teens because they need things to happen and won’t stand for waffle. It’s easy to tell everything in prose, to lay it all out, to leave nothing unsaid, because you can move fluidly in and out of the character’s thoughts, but in the best stories of any kind, characters reveal themselves in action and it’s their choices that turn the story. Screen storytelling can help sharpen the commitment to ‘Show Don’t Tell’. 10. Sometimes It’s Hard, So Be Kind to Yourself. 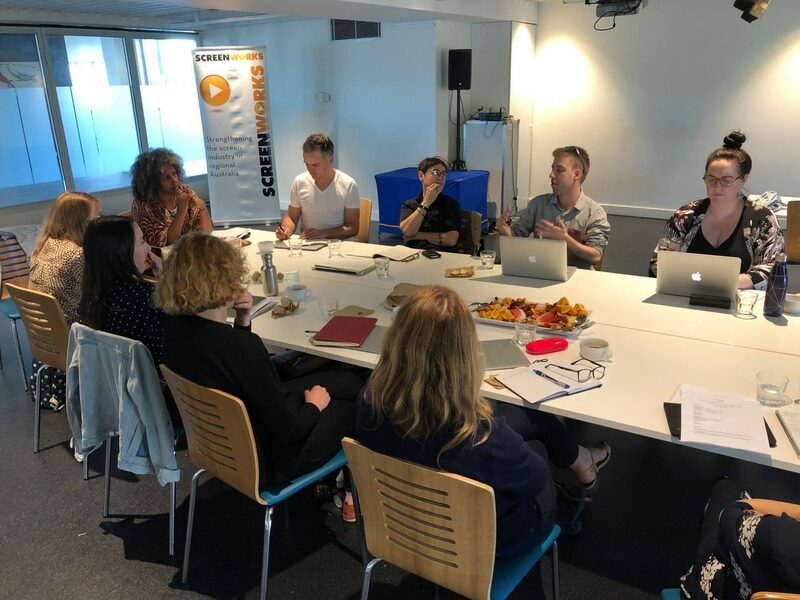 Even with a hive of brilliant story minds, there were times when the room would go quiet and no one had an immediate solution. Or we’d bang our heads for half an hour, thinking around a problem and still not solve it. This was heartening for those times when you’re working alone or when you’ve been trying to crack a story for weeks, months or years. Sometimes the story has other ideas and will take its sweet time, and that’s okay. But you still show up, hang out with it and, eventually, you charm the answer out of the story. Thanks Screenworks, Create NSW, Screen Australia and Matchbox Pictures for the opportunities. 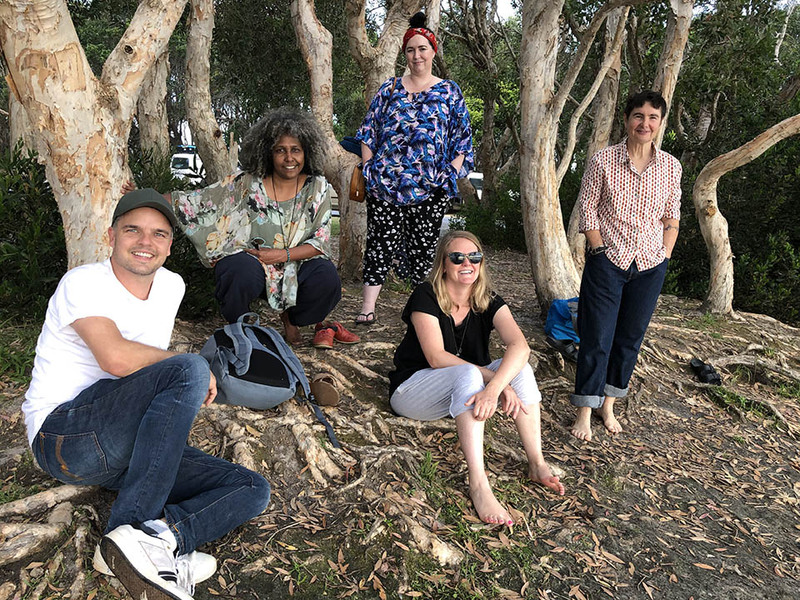 Relaxing down by the lake with some of the writers after days of intensive story work. Previous Post WIN Books for Christmas! Thanks Tristan, this was a most helpful insight into what the Writer’s Rooms have taught you. It points to that great difficulty of transitioning from book to screen. Congrats too on your Awards and, of course,, sales!. Thanks very much, Bette. I hope you’re well and happy. Tristan.